Dance of An Eternal Battle | What an Amazing World! Since the dawn of mankind on Earth the planet has changed so dramatically, caused both by Mother Nature’s relentless energy to twist, turn and flip the world’s tectonic plates, volcanoes, skies and oceans, and humans’ insatiable demand for resources. So often we hear that the only constant thing in the world is change, therefore those who survive are the ones who are able to change and adapt to new challenges. However another constant thing in life seems to often be overlooked by most of us: the battle between good and evil. History proves how the two eternal forces always balance each other out, like yin and yang. Germany is not always known for its enviable advancement in technology, supported by sound and efficient economy, but many remembers it as a country where one of the world’s greatest evils had painted a very dark chapter in history. Iraq, on the other hand, was not always a perilous and unstable land. At the time when Europe was engulfed in inquisitions, Baghdad produced progressive-thinking scholars who introduced new thoughts to the world like algebra and perfected ancient wisdom and sciences which would later provide a strong foundation for Renaissance movements in Europe. There is no guarantee that things would remain at one side forever. There is no guarantee that a good man would always be good, and a bad man would remain so for the rest of his life. 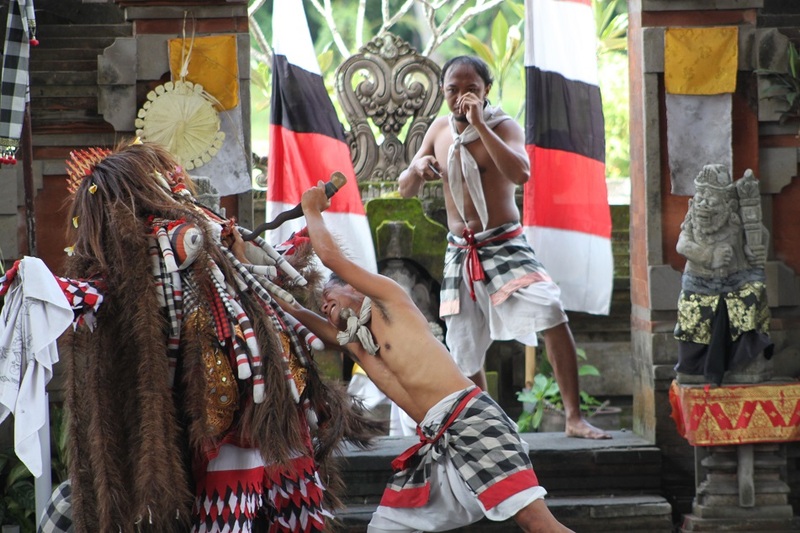 The same philosophy had inspired the Balinese to create a dance richly loaded with symbolism of the eternal battle between good and evil: the Barong dance. The mythical beast – often takes shape of a lion among other less-known forms of a tiger, a boar and a dragon – is considered a protective spirit of the island, a tradition dating back from the pre-Hindu period. 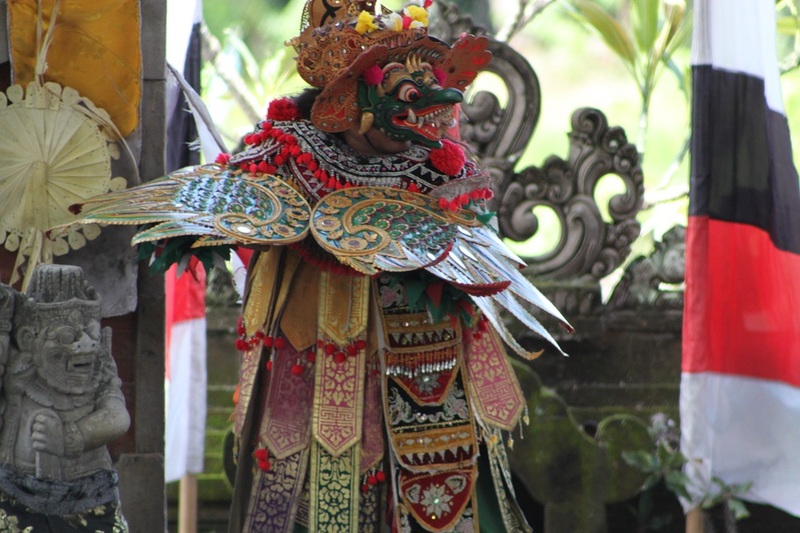 A Barong is usually decorated with gilded leaves, fragments of small mirrors and voluminous dried ijuk (palm fibre) to create a formidable figure representing virtue. On the other hand Rangda is attributed to evil spirits, instilling fear and inciting chaos among Balinese with her menacing appearance – a demonic figure with sharp nails and a long unfurled tongue. Her origin can be traced back to the time when King Udayana from the House of Warmadewa ruled Bali in the 10th century. During his rule, the Balinese king married a Javanese princess, Gunapriyadharmapatni, from the Medang Kingdom – the same kingdom which left magnificent 9th century temples spread across Java as its legacies. The marriage instigated suspicions from the Balinese royal court upon their foreign consort queen’s ambition to include Bali in the realm of the Javanese kingdom. Gunapriyadharmapatni, later known as Mahendradatta, introduced the worship of Durga, a goddess in Shaktism school of Hinduism often associated with death, in her new land. King Udayana himself later condemned his wife for practicing black magic and banished her from his kingdom. Enraged, humiliated and disappointed, Mahendradatta then summoned all the evil spirits on the island to avenge her and kill everyone in the kingdom. 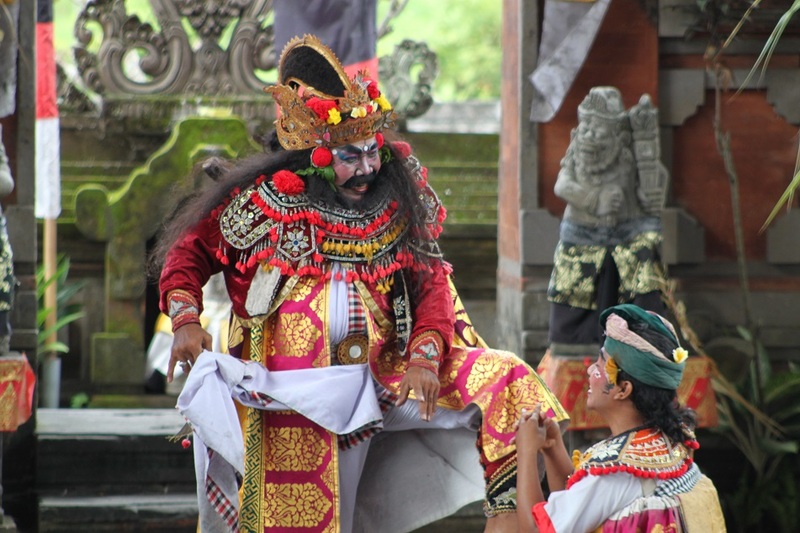 Rangda, Old Javanese for widow, since then has always been associated with evil. 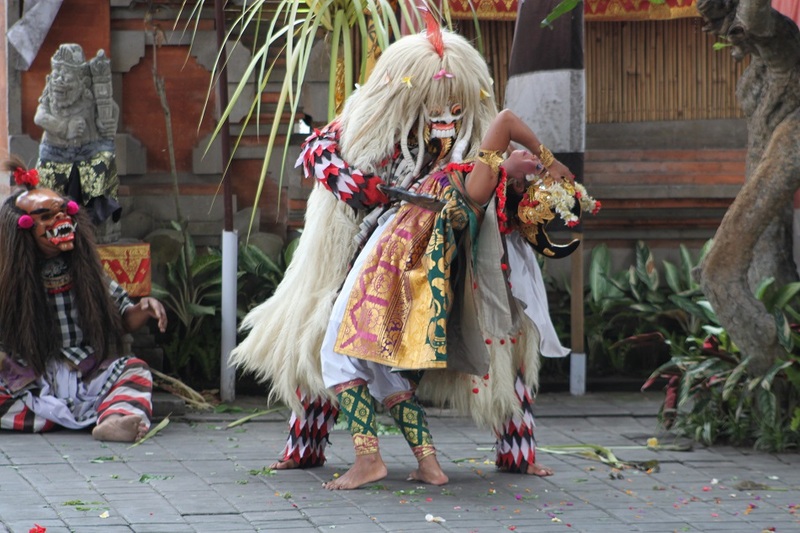 The Barong dance portrays the battle between Barong and Rangda including sequences where the demon queen relentlessly attempts to turn people away from virtue. The finale shows Balinese men with their keris – a traditional dagger – attempting to defeat Rangda, only to meet their own demise for the evil queen was much too powerful. Barong eventually resurrects them and expels Rangda, forcing her to flee and move to the forests on the island. Peace returns to the village, but the mighty Barong does not kill the demon queen, epitomizing a reality in the world where there will always be virtue and evil, constantly battling each other. Such an informative post – thank you! 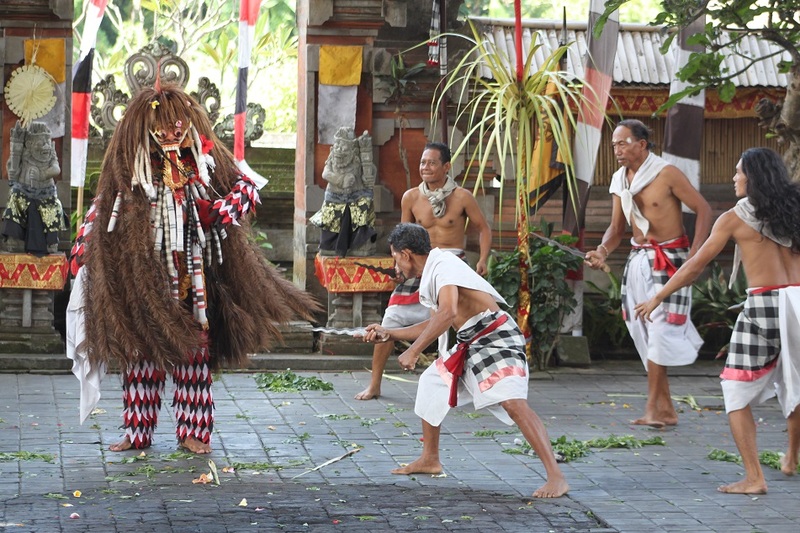 I love watching Balinese dancing, it is so expressive and symbolic. Hi Jenny. My pleasure, and thank you for reading. 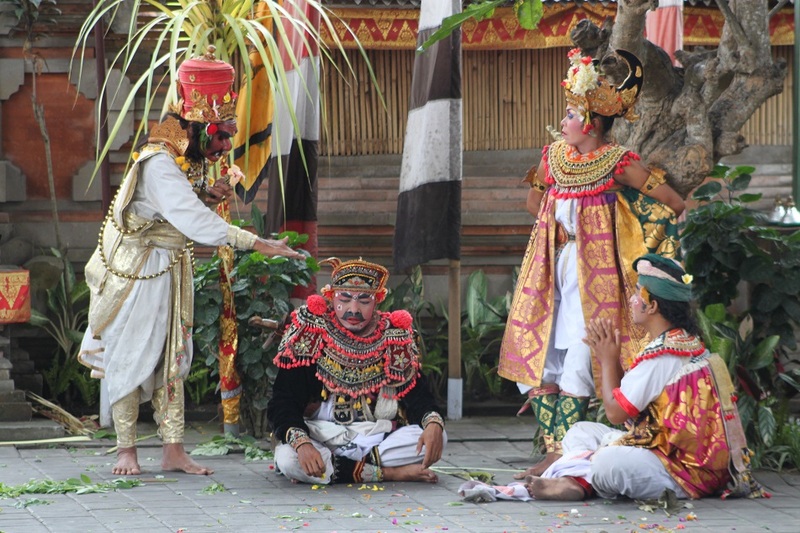 Balinese people really know how to make elaborate and beautiful art, including dancing. Barong and Legong are my favorites. Thank you for this! It brought back some wonderful memories of our time in Bali and an evening seeing the Barong dance. I was completely enthralled having never seen anything like it before. Gorgeous costumes, and wonderful pantomime and music. Thanks for the excellent explanation of the story and your beautiful photos. Hi Alison. The pleasure is all mine. 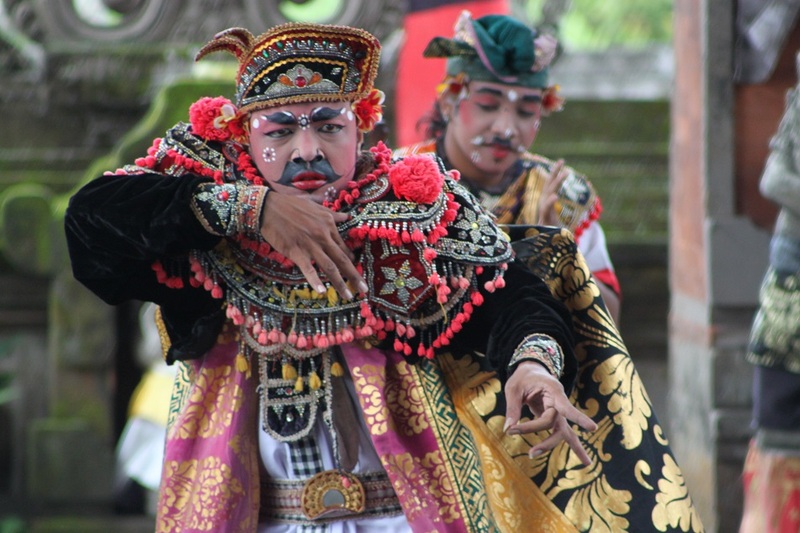 I was, too, captivated when I watched a Balinese dance performance for the first time. It was unlike anything I’d ever seen; the ornate costume and intriguing dance movements left me in awe. informative, rich and valuable of other culture! Thank you, Mihran. Learning about other cultures is one of the reasons why I travel. The world is one fascinating place, indeed. Well, you’ve to Bama 😉 Thanks! You sparked my interest! Definitely will be looking up Barong dance videos, haha. And nice photos, thanks for sharing! 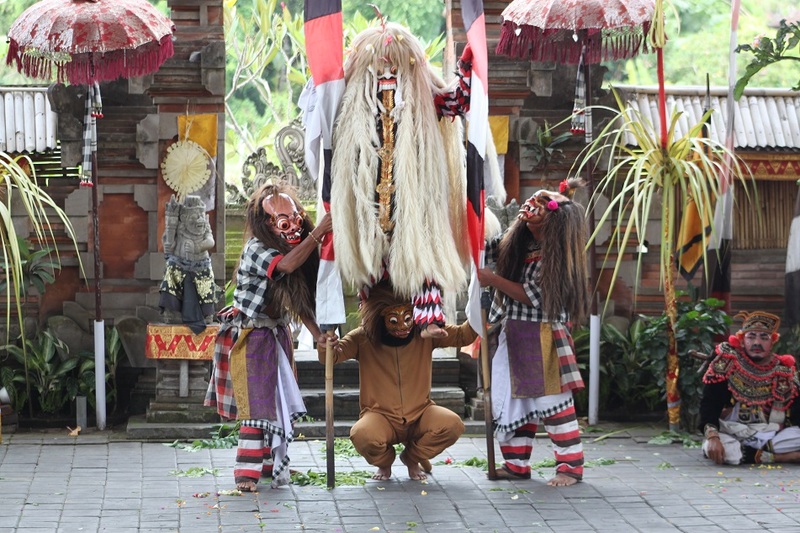 hi Bama….impressive story behind this Barong dance. I left Indonesia long long time ago in the 80’s….. i almost forget all about this magical stories in Indonesia… yes, what a shame! By the way i enjoy so much to read your post. I suppose you could be very good writer as well …..you are already! what i mean is writing a novel, triller, history romance, travel romance, whatever! it’s just suggestion ;;))) ok, fika bem ( “stay well” in cabo verde crioul ). Thank you, James! As you know, trying to capture the right moment resulted in hundreds, if not thousands, of photos. 🙂 I was lucky to notice the priestess’ expression toward the end of the performance. I have seen the exact same performance in Bali this summer! Great photographs! It’s such a wonderful performance, isn’t it? Balinese traditional dances never fail to impress me. Thank you, Lyubena! Thank you so much for your kind words. I was particularly impressed with the ornate costume and elaborate movements. Truly an amazing spectacle. Such an interesting post and amazing photos. Hi Vinnieh. Thank you! I’m glad you enjoyed this post. Hi Bama, It’s so true that thosewho are good today can be evil tomorrow or vice versa. It’s fascinating to learn about the dance of Barong and I thoroughly enjoyed reading the tale about the oirign of Rangda. The costumes of the dancers look so colorful and really spectacular. it must be amazing to watch it in person. How long is the dance? Your writing and photography is beautiful. Thank you! This reminded me of a all Tibetan settlement In India where they have a similar dance performance! Wow, it really sounds intriguing! Is it the ones in and around Dharamsala or also in other parts of India? WOW. what beautiful imagery…i really enjoyed this post! Great work. haha no worries! home town isn’t any better than Oklahoma. Love this blog! Favorite one on Word Press I’ve seen thus far. Makes me want to hop on a plane right now! Thank you for sharing this amazing story and incredible photographs. Looking forward to reading more. Hi guys! Thank you so much, it’s really one of the most underrated destinations on the planet, isn’t it? Although we do see a steady increase in foreign visitor arrivals these years. Beautiful photos! Bali is one of my favorite places. Hi Ema. It is too for me, and I don’t think I will ever get bored of it. Pingback: Pura Singapadu: Beauty in Details | What an Amazing World! Actually the Balinese don’t necessarily worship Barong — it is more like a symbol of virtue and good forces. 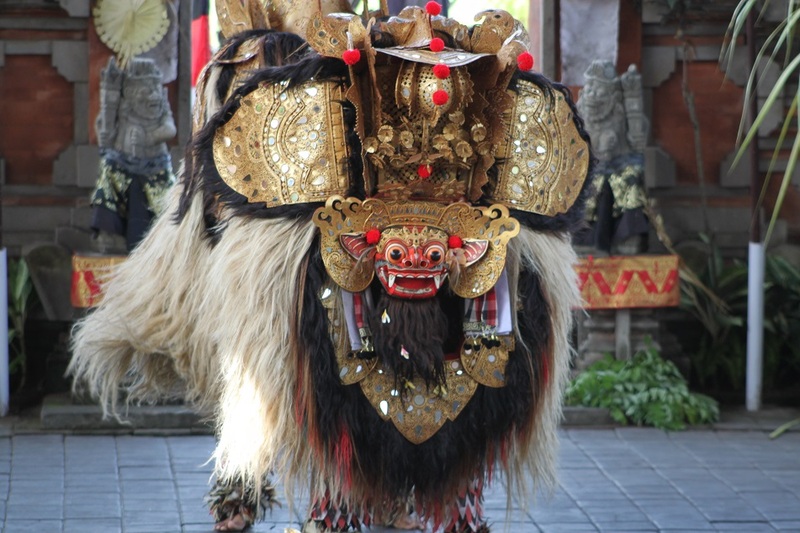 Today Barong only exists in Bali, but I wouldn’t be surprised if in the past, when Java was still predominantly Hindu, there was something like Barong on Bali’s neighboring island. I’m not sure if there were cultural exchanges between the Balinese and Nordic people; similarities between two distant cultures can indicate past exchanges as well as occur independently from each other. But thanks for bringing this up! I might want to look further into it when I travel to the far north of Europe one day. Exactly. I’m not sure that there were contacts between the Ancient Egyptians and the Mayans. Yet, both societies built impressive pyramids, with their own distinctive style. Nevertheless, traveling helps unveil such facts, which in turn helps us see the world with a broader and less judgmental perspective.